It is in this context that the clans battle. From the ancient rivalry of the Crane and Lion to the Crab’s daily skirmishes with the Shadowland forces threatening to extend their reach into Rokugan, the clash of swords and the pull of politics is a daily occurrence. But while conflict between the clans has dominated Rokugan for over a thousand years, the true threats await in the dark, known only to a few. The five elements of Air, Earth, Fire, Water, and Void are in a precarious balance, and the land of Rokugan teeters on the brink of chaos. 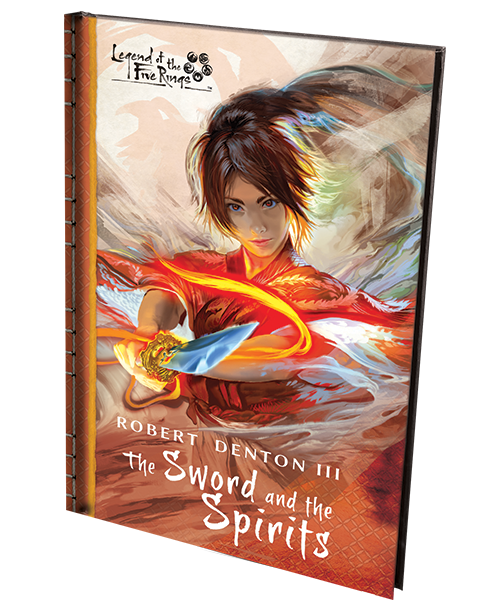 Enter a world where honor is stronger than steel with Legend of the Five Rings Fiction! Immerse yourself in a samurai epic detailing the conflicts of the Great Clans scattered across the Emerald Empire of Rokugan. 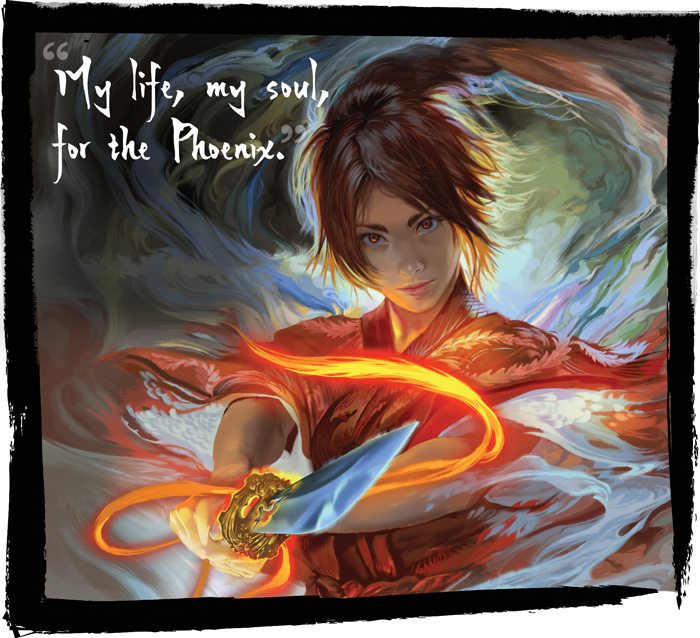 Fantasy Flight Games is proud to present free Legend of the Five Rings short stories on our website, written by both long-time veterans of the Legend of the Five Rings community and new authors providing a fresh perspective on the iconic setting. 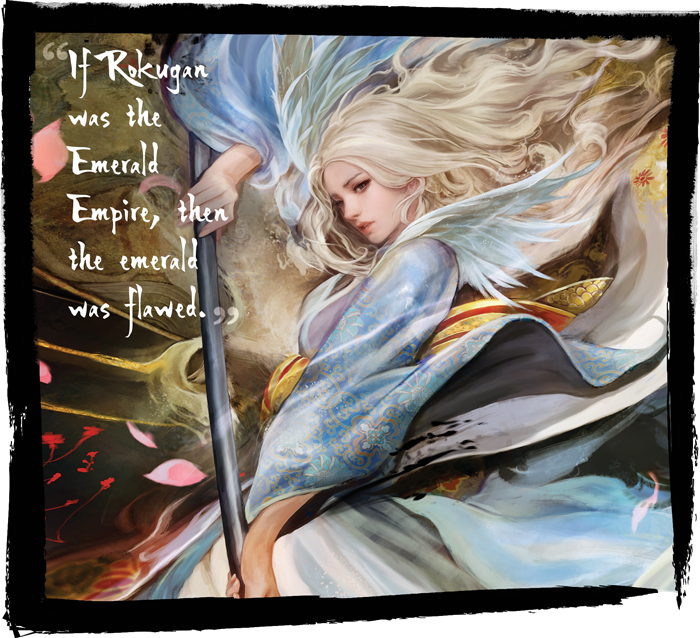 These fictions explore the world of Rokugan from a variety of perspectives, supplementing stories found in Legend of the Five Rings: The Card Game Dynasty Packs. Experience the horrors south of the Kaiu Wall, become enraptured in the political intrigue of the capital, or dive into the violent rivalry between the Lion and the Crane. Rokugan sits on the brink of catastrophe. You can watch the story unfold by reading the web fiction released in conjunction with new Dynasty Packs for Legend of the Five Rings: The Card Game! Look for a full list of web fiction, seperated by cycle, in the support section below! Legend of the Five Rings: The Card Game invites players to not only experience the epic tale, but craft it themselves. Large, high-profile tournaments like the annual Winter Court (or World Championship) held in November will give players the opportunity to influence the ongoing saga of Legend of the Five Rings. Players don’t just compete for honor and glory, but for the ability to decide the fate of Rokugan itself. Champions have the chance to advise the Emperor with decisions that change the path of a Clan’s destiny or set secret plots in motion. Fiction that involves some kind of choice is labeled as “event fiction” and is released on the Fantasy Flight Games website in conjunction with major tournaments. Check out the support section below for a full list of event fiction! Each novella comes in a physical format and makes a fantastic addition to your Legend of the Five Rings collection. With a focus on character drama and political intrigue, these hardbound novellas chronicle the adventures of your favorite Legend of the Five Rings characters for roughly one-hundred pages—long enough to take a number of surprising twists and turns, but short enough to read at a fast clip. Finally, Legend of the Five Rings novellas include alternate-art cards for Legend of the Five Rings: The Card Game. These cards feature breathtaking alternatives to cards found in Dynasty Packs, giving you the chance to represent your clan in style.